I’ve always loved food – my curvy behind is testament to that. But when I became a mum I wasn’t prepared for how much meal times would structure our day. Young kids in-particular need feeding within moments of their tummies rumbling or there’s hell to pay. And they don’t care whether you’re at home with the convenience of a double oven and microwave or sat under canvas in the middle of a field. Camping with kids most definitely adds an extra level of complexity to meal times. So what camping food can you prepare quickly that will satisfy your tiny travellers as well as your bigger ones? Read on for our recommendations. 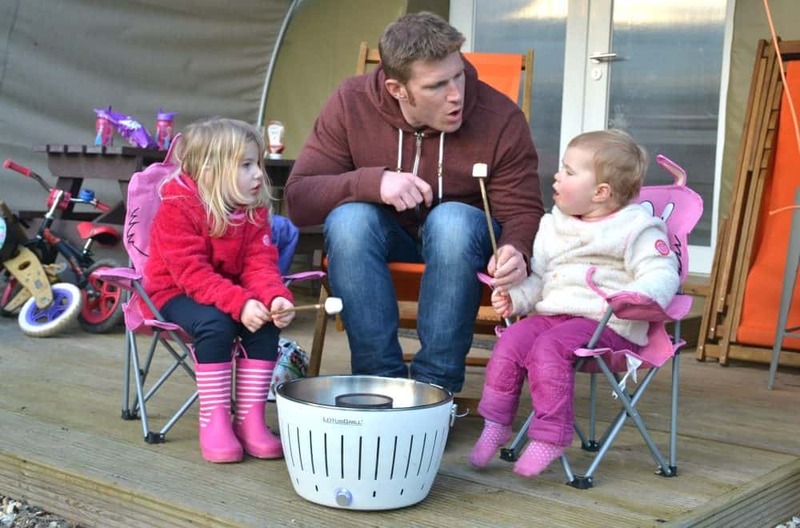 If you’re looking for more camping tips, Halfords have just published their guide to camping with kids. 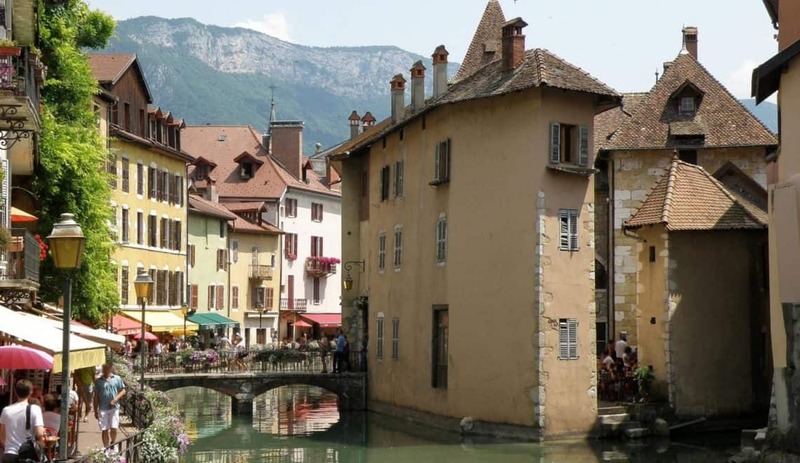 We’re delighted they have asked us to share some more ways we make the most of outdoor holidays in this online guide. What’s your favourite camping food? The oldies are the best, right?! Sausages always go down well with our girls served on their own or in a finger roll with ketchup. I enjoy topping my hot dog with onions fried in a billy can over a camping stove or barbecue. Add a tin of beans and you have a camping meal that will fill tummies and make you feel like you’re living the authentic outdoor experience. What you’ll need: a barbecue or camping stove, barbecue tools, saucepan if cooking on a stove, and a billy can. This is a quick and easy hot camping meal if you’re cooking on just one stove or hot plate. The essential ingredients are all dry or canned foods, so very easy to store whether you are camping in a tent, caravan, camper van or motorhome. Simply cook some dried pasta in a saucepan. Drain it and add a jar of cheese sauce, a tin or two of drained tuna depending on how many you’re cooking for and a drained tin of sweetcorn. If you want to make your dish extra easy then how about using packets of pasta in sauce rather than plain pasta. Or, if you have a cool box of fridge, bring some cheese to grate over the top. Ingredients: dried pasta or packets of pasta in sauce, jar of cheese sauce (optional), tinned tuna, tinned sweetcorn, cheese (optional). What you’ll need: a camping stove, saucepan, ladle. 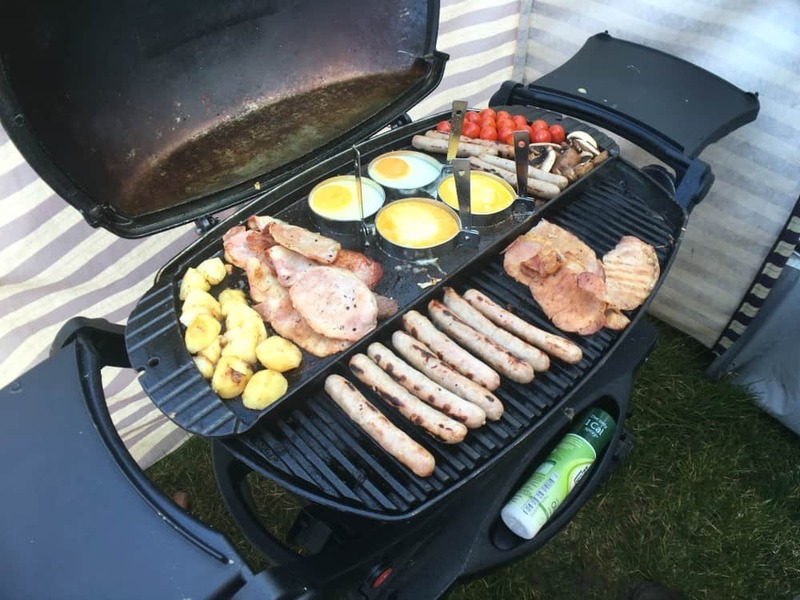 We love to barbecue a hearty breakfast when we’re away in our caravan as it’s so easy to cook almost everything on the grill. 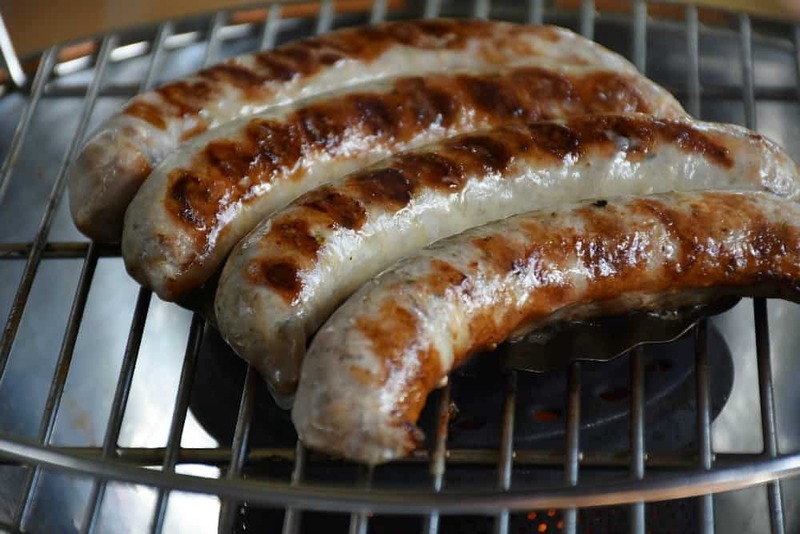 Start with sausages to make sure they cook through, then add on bacon and cook to taste. I like mine crispy. Use a billy or grill plate can to sauté some chopped or baby mushrooms and cook your beans on a stove. Bring a small baking tray and egg rings for frying perfect sunny side up yolks. You can also highly fry up left over potatoes from last night’s BBQ. For more barbecue inspiration take a look at my BBQ tips. Ingredients: sausages (chipolatas cook fastest), bacon, mushrooms, baked beans, eggs, cherry tomatoes, cooked potatoes or frozen hash browns. What you’ll need: a large barbecue with lid, barbecue tools, baking tray or grill plate, egg rings, billy can, saucepan, camping stove. Baked potatoes are easy and filling camping food that can be prepared slowly or quickly on a barbecue. For slow cooked, fluffy jacket potatoes wrap your spuds in tin foil and put them on a barbecue or fire pit griddle to bake through. If your kids need feeding a bit quicker then frozen jacket potatoes are the ideal solution as they are pre-baked and just need heating through. Top your potato with baked beans, tuna, cottage cheese, cheese or canned chilli. Sweet potatoes make a delicious alternative. Cooking time: from fresh 1 hour; from frozen 30-40 minutes. Ingredients: fresh or frozen jacket potatoes, filling of your choice, salad to serve (optional). What you’ll need: tin foil, barbecue or fire pit, barbecue tools. If you’re thinking camping food sounds seriously carb heavy, then it doesn’t have to be. You can also prepare food that’s a bit special. Bear with me as this isn’t as quick as some of the other options above but it’s worth the wait! It’s also ideal if you’re camping with friends and want to cater for the whole group. Clean the salmon or buy one that is already prepared. Stuff the fish with slices of lemon some dill and season with salt and pepper. Add a few knobs of butter and wrap the salmon in tin foil so none of the juices can escape. Then place it on a barbecue griddle. Turn the fish every fifteen minutes. If you’re cooking for a smaller group you can use salmon fillets and reduce the cooking time considerably. Serve your fish with boiled new potatoes and salad. Ingredients: salmon (whole or fillets), lemon, dill, salt and pepper, butter, new potatoes and salad. What you’ll need: a barbecue, barbecue tools, tin foil, a fish knife, camping stove, saucepan. 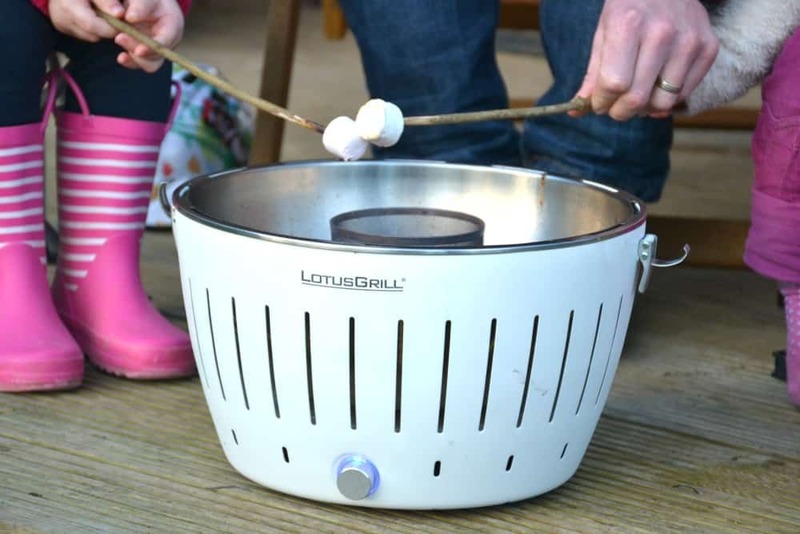 At the end of the day or as a bit of a treat, who can resist toasting marshmallows over the campfire or barbecue? Kids need supervising carefully while toasting marshmallows, making sure they don’t dab their treat with charcoal or try to retrieve dropped sticks from the fire. When cooked, pop your warm, gooey marshmallow between two digestive biscuits with a flat square of chocolate for camping food heaven! Ingredients: marshmallows, digestive biscuits, chocolate. What you’ll need: a barbecue or campfire, sticks, lots of wet wipes for cleaning faces afterwards! I hope you’ve found some menu inspiration for your next camping trip. If you’ve got a go-to camping dish then I’d love to hear about it. Of course when you’re ready to tuck into your al fresco fare then you’re going to need some camping furniture. Halfords have plenty of fold away tables and chairs that are perfect for camping holidays. If you’re looking for more camping inspiration then why not check out my recommended camping games for family holidays under canvas? Or if you’ve booked your first family festival then why not get some advice from parents who’ve done it all before? Disclosure: this post has been written in collaboration with Halfords. I did it much time with my kids. I have two kids they are now 6 and 8 years old. Your camping food list is too useful. I love it. We are thinking of our next camping this winter. I bookmark your site and keep it in my mind. And I will check it out when we are going to our campsite. Thanks for the sharing such an informative article. There’s something so exciting about going camping and making your own food on a little camp fire! Definitely has to be a full English to start the day! Such a great list of camping food for the whole family! Easy to prepare and delicious. Most of these are on our list. Baked salmon always looks so posh. I want to get a small grill/bbq for next year because otherwise I only have the one single stove. It’s so handy to have a BBQ – we use ours for so much!